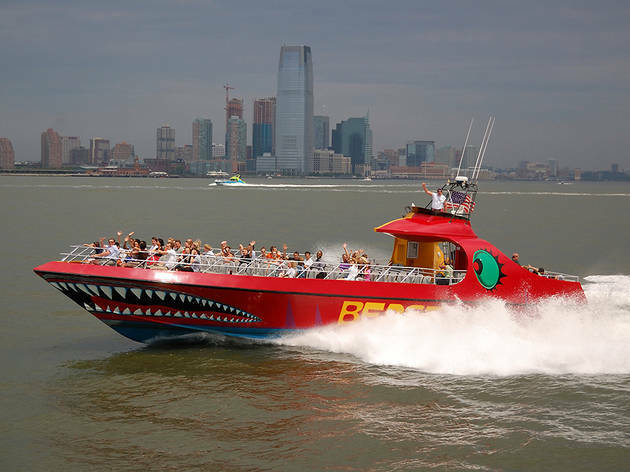 Choose your own adventure: Get a new view of your favorite city with the best boat rides in NYC below—including action-packed (tween and teen favorite) adventures like The Beast and more scenic, low-key (did we mention cost-effective?) 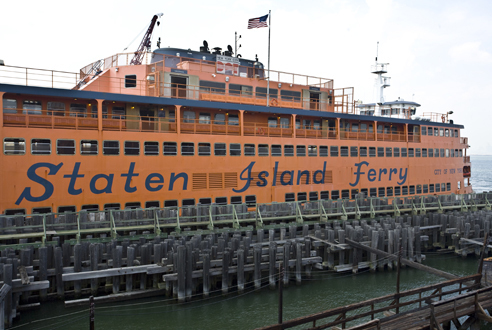 picks (best for tykes) like the IKEA and Staten Island Ferry. See below for the full scoop! 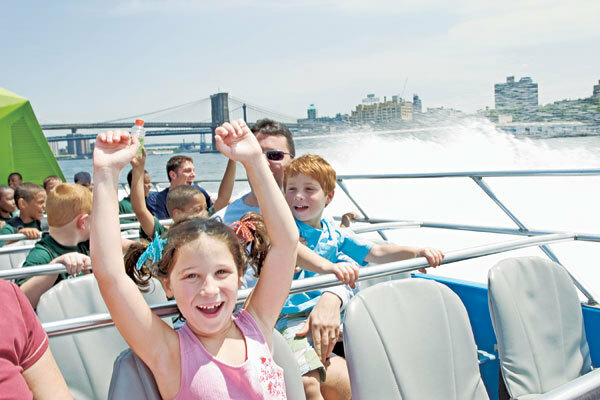 If you’re looking for a longer stay on the water, check out the best family cruises leaving from the NYC area or hit up NYC beaches this summer! 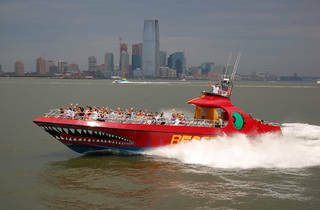 The Beast Speed Boat's claim to fame is that it is the only jet-powered thrill ride attraction—it's likened to a "roller coaster on the water" and reaches hair-raising speeds of 40 knots (roughly 45mph). Also, you're gonna get wet. Pier 16, South Street Seaport, Financial District (circleline42.com). Various prices. Guests must be 40 inches or taller to ride. 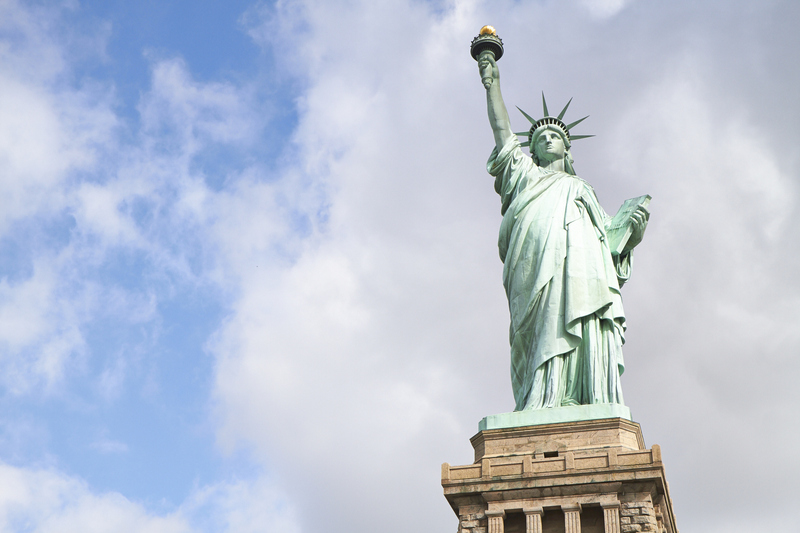 See New York's most famous landmarks without battling the crowds. You'll catch views of the Empire State Building, Chrysler Building, One World Trade, The High Line, Ellis Island and The Statue of Liberty (among others). Snacks and adult beverages are available for purchase onboard. Be warned—toddlers will probably get a little restless on this cruise, but it’s the perfect length for most school-aged children. Pier 81, Midtown West (circleline42.com). Various prices. 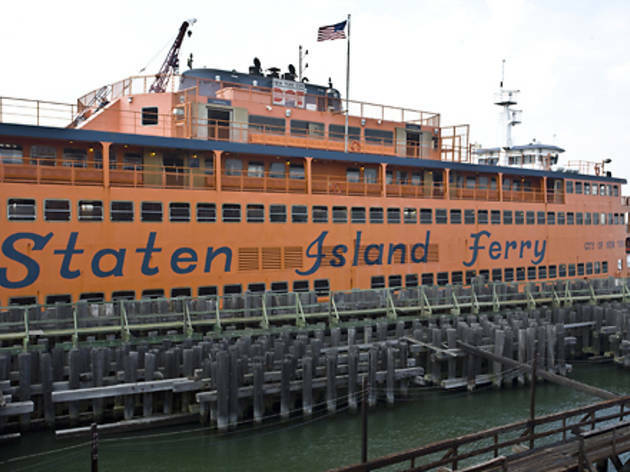 The Staten Island Ferry is a true piece of history: It's actually one of the last remaining traces of a ferry system that existed far before the behemoth bridges of NYC were even built. Pretty cool, huh? 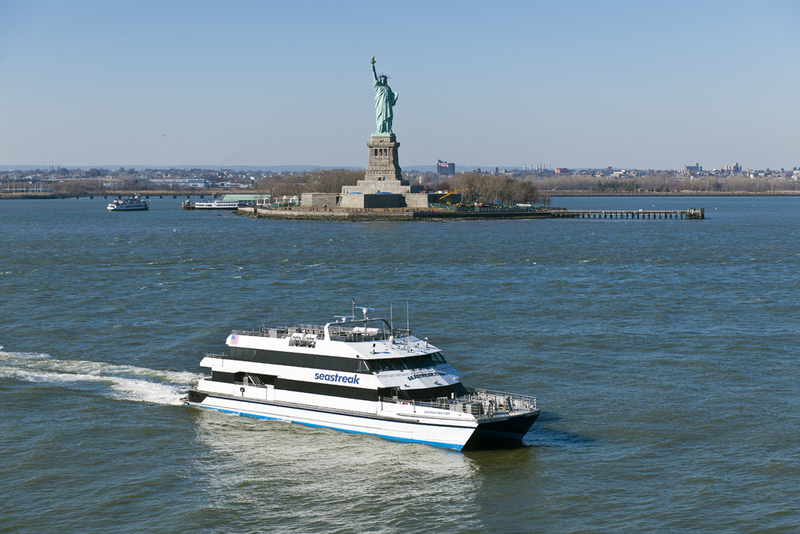 It currently serves around 22 million riders per year, is operated by NYC DOT and is free to ride, offering exceptional views (including views of The Statue of Liberty). Passengers must debark and reboard once a destination is reached, though you can still easily make a round-trip adventure out of things (25 min each way). Avoid rush hour at all costs for maximum fun. St. George Terminal, Staten Island or Whitehall Terminal, Manhattan (siferry.com). Free. 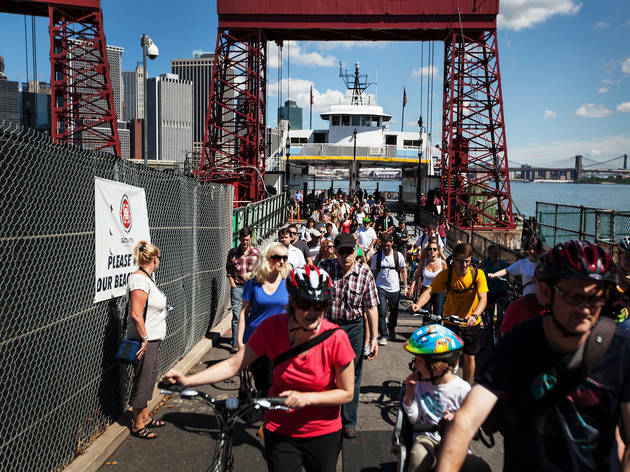 This quick ferry ride transports people to the shores of Governors Island where families will find fun activities to last the whole day. Check the calendar for music, art installations, nature lessons and cultural events or spend time exploring the island’s permanent offerings, including mini golf, bike paths, and ballfields. Children’s park areas feature play fountains, slides and a junkyard playground. A few moments spent resting on the hammocks under the sun is a must. Battery Maritime Building, 10 South St or Brooklyn Bridge Park, Pier 6, Atlantic Ave (govisland.com). $3 per RT ride, children under 13 free; certain off-peak hours free. 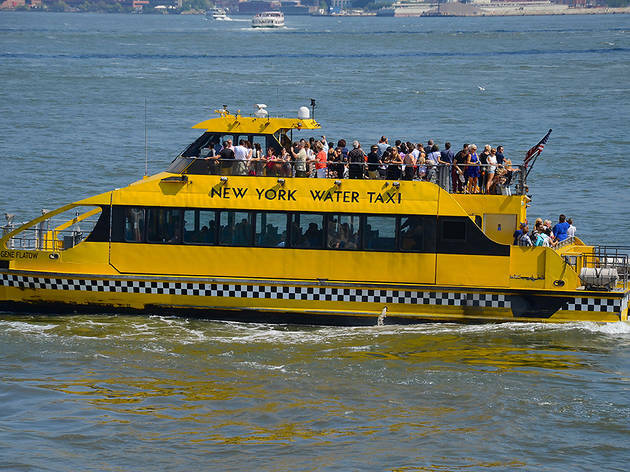 This bright yellow ferry will glide passengers on over to IKEA’s Red Hook location, but if you’re just looking for an easy boat ride, then hop right on. A one-way trip is just 20 minutes long, which is perfect for antsy little ones who love to run around on land. An open-air upper level offers a delicious breeze on sunny days and unobstructed views of the surrounding skylines while an enclosed lower level provides shelter on cooler, rainy days. Pier 11, Slip A, Financial District (nywatertaxi.com). 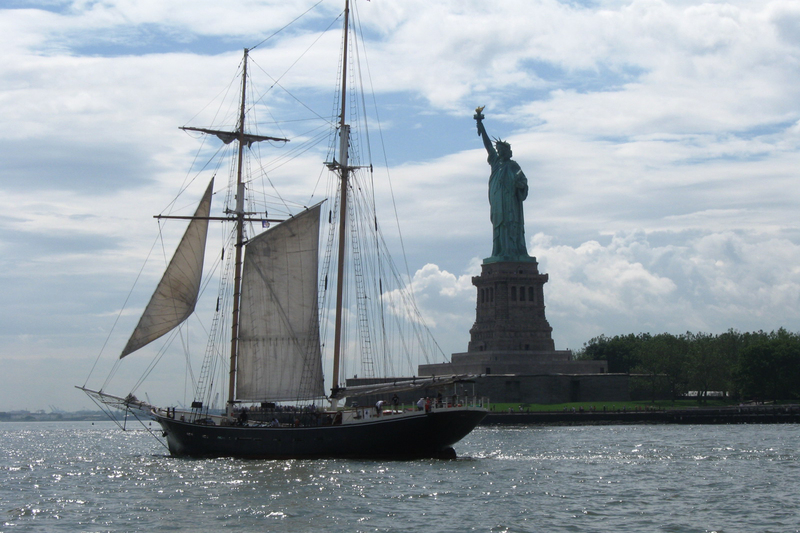 Kids can fulfill their dreams of being a pirate when they hop aboard old-school schooner cruises from Manhattan By Sail. 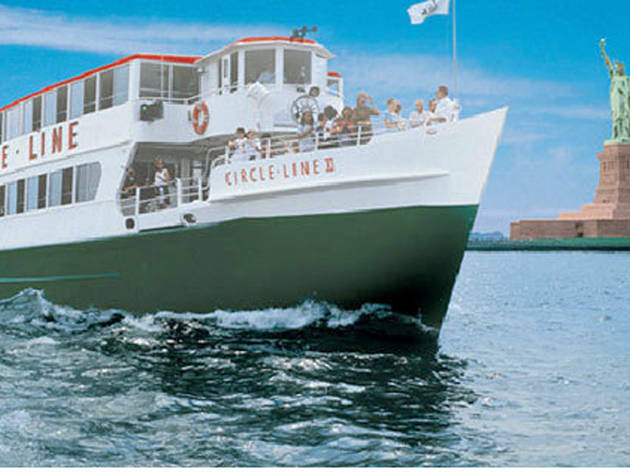 Choose from two way-cool boats, the Shearwater Classic Schooner, which patrolled the Chesapeake Bay during WWII, or the Clipper City Tall Ship, a 158-foot schooner with billowing white sails. 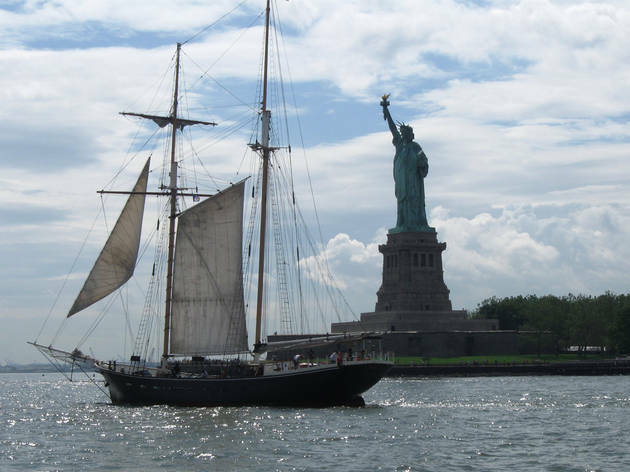 Both welcome families for daytime sails lasting an hour and a half, with views of lower Manhattan and the Statue of Liberty. The Shearwater departs from North Cove Yacht Harbor and the Clipper City departs from Slip 2 at The Battery. For nighttime views of NYC, grab tickets to special sunset and twilight sails, or those focusing on the city and harbor lights, offered on select dates. Daytime sail schedule may vary, check website for sail times. 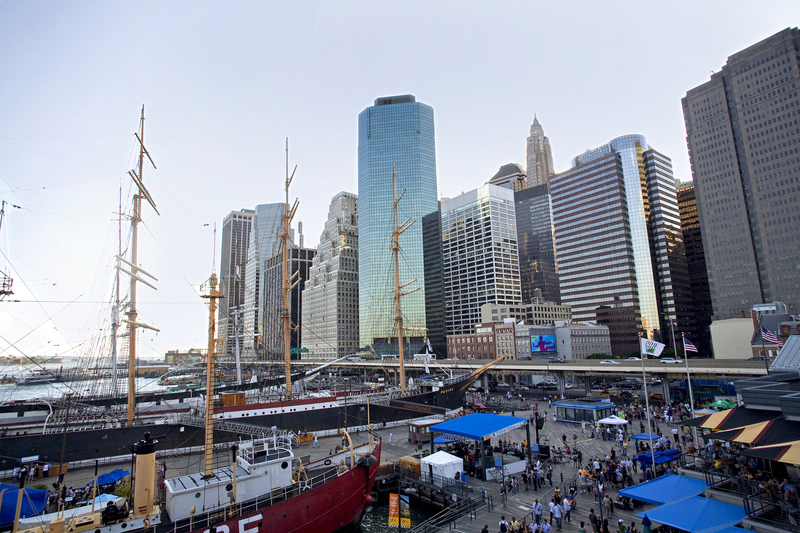 Various locations (manhattanbysail.com). Various prices. 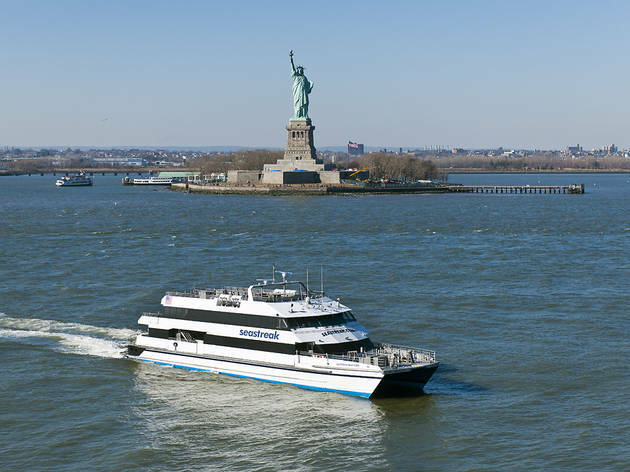 Youngsters will love the chance to see Lady Liberty in all her glory on this cruise that brings you within 100 feet of NYC’s leading lady. 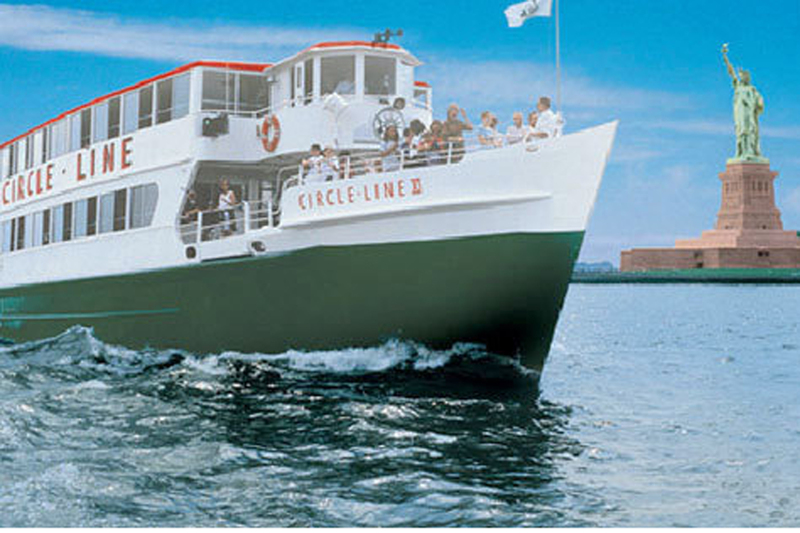 As the Circle Line Manhattan makes its way across the water, professional guides will sound off interesting facts about the statue, plus point out other landmarks including One World Trade Center, the World Financial Center and the Ellis Island Historic Immigration Center during the one-hour journey. With comfy seating, food and drink available for purchase, plus onboard restrooms, it’s easy to keep little ones happy. Pier 83, Midtown West (circleline42.com). Various prices. 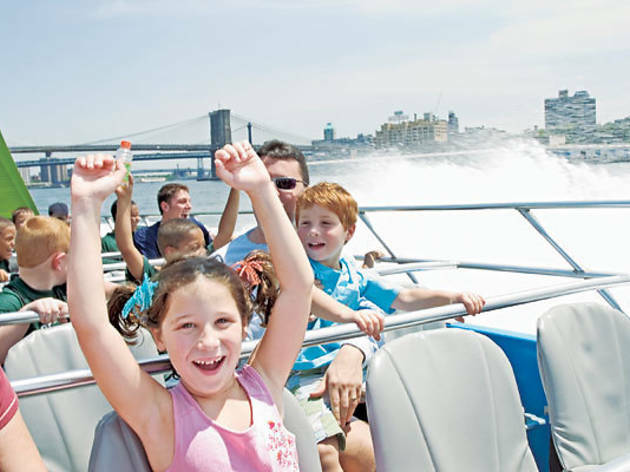 Though this sightseeing cruise is aimed at tourists, the "Hop-on, Hop-off" setup makes it easy for locals to see cool city landmarks via an efficient boat ride. 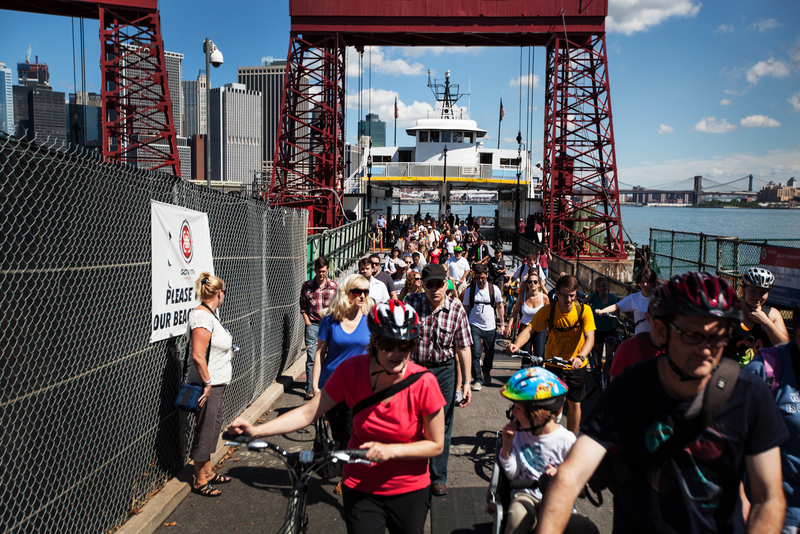 Hop aboard at one of four locations: Pier 78 on the Hudson, the World Financial Center, DUMBO or Pier 11 and take your time exploring the sites at each stop before continuing to the next destination—tickets are valid for the entire day! 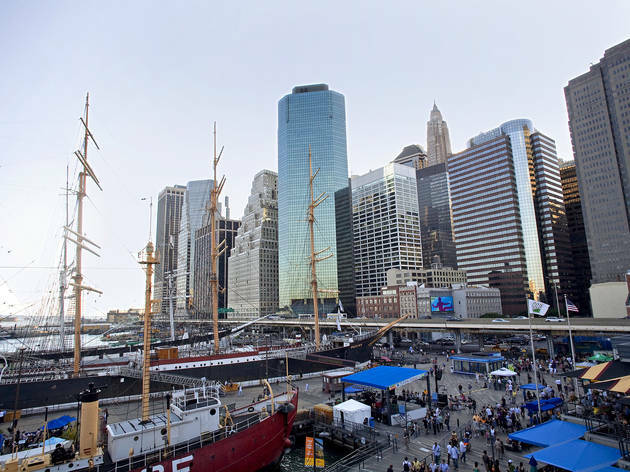 Depending on your family's preferences, plan to check out landmarks like the Brooklyn Bridge, South Street Seaport, Statue of Liberty and more. 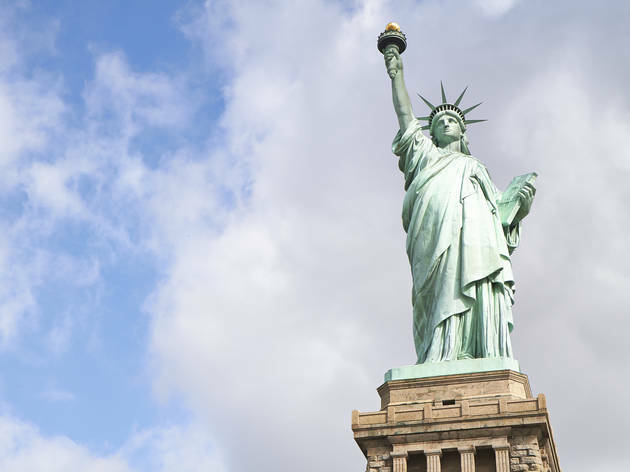 If it rains on your parade, swap the boat ride for one of 10 on-land attractions including the Met, the 9/11 Tribute Center and Museum of Natural History. 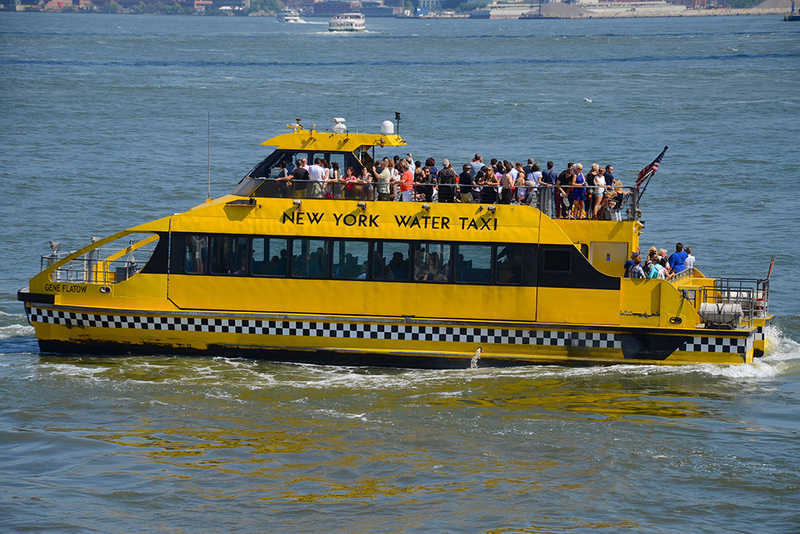 Check website for departure locations and times (citysightseeingnewyork.com). Various prices. Making the trek to the beach for a day of family fun in the sun is made easy thanks to the Seastreak ferry. Pack up the sunscreen and beach towels, then head to the dock at either E. 35th St or Wall St in Manhattan to climb aboard—much simpler than dealing with traffic. Kids will love the 360-degree panoramic views during the ride, and climate controlled cabins, bathrooms and free wifi will keep everyone comfortable. At Sandy Hook Beach in Gateway National Park, you'll find on-duty lifeguards to keep an eye on youngsters as they splash in the waves. As if it weren't easy enough, the ferry includes complimentary shuttle service between the dock and various beaches in the area. Ferry runs daily summer through fall (seastreak.com). Various prices.